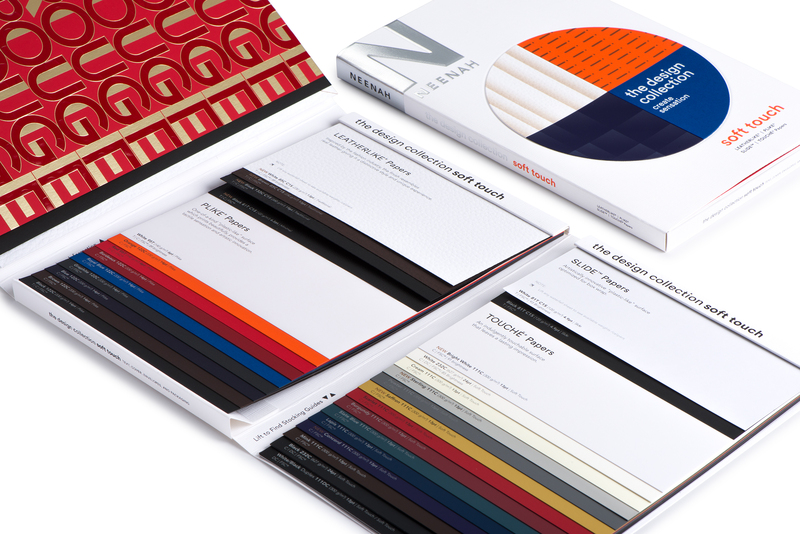 In August of 2018, Neenah Paper did a re-launch of their fabulous Design Collection Swatchbooks. 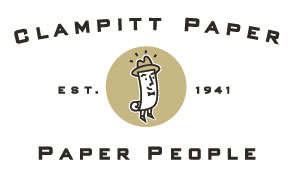 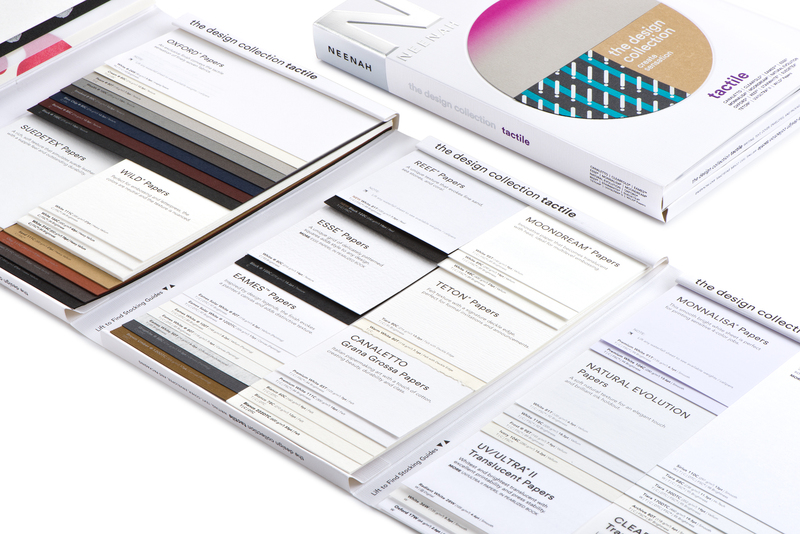 Moving from one large book to three small separate books, they have made it even easier to find the perfect Pearlized, Soft Touch and Tactile papers for all your project needs. 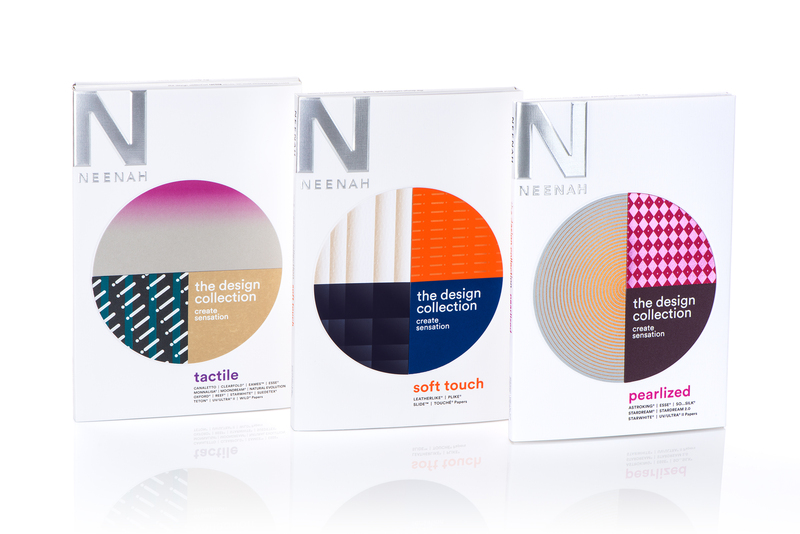 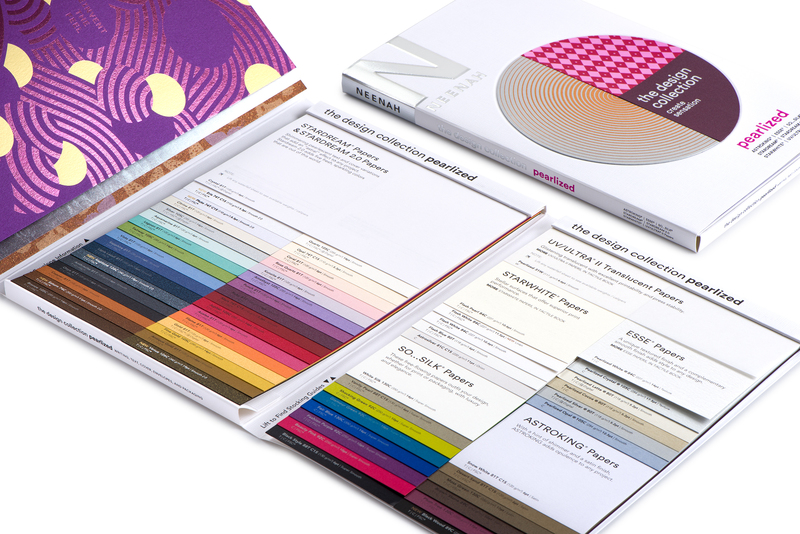 Ask your rep to get you a set of your own Neenah Design Collection Swatchbooks!